Hip pain is a common condition treated at Sycamore Chiropractic and Nutrition. There can be many causes of hip pain ranging from spinal subluxations, spinal degeneration, poor posture, weak and tight imbalanced muscles, dislocation, pelvic unleveling, bursitis, trauma and more. Dr. Boynton is an expert at evaluating the underlying cause of your hip pain by use of gentle palpation, orthopedic testing, range of motion evaluation and on-site x-rays. Dr. Boynton can order a MRI or CT scan if he thinks further examination is necessary. Dr. Boynton is also a Certified Chiropractic Extremity Practitioner (CCEP). This additional certification indicates that he has extensive knowledge in treating and evaluating the hip. Knee pain is a common condition treated at Sycamore Chiropractic and Nutrition. There can be many causes of knee pain ranging from spinal subluxations, spinal degeneration, knee torsion, poor biomechanics in the foot and ankle, trauma and more. Dr. Boynton is also a Certified Chiropractic Extremity Practitioner (CCEP). This additional certification indicates that he has extensive knowledge in treating and evaluating the knee. Ankle pain is a common condition treated at Sycamore Chiropractic and Nutrition. 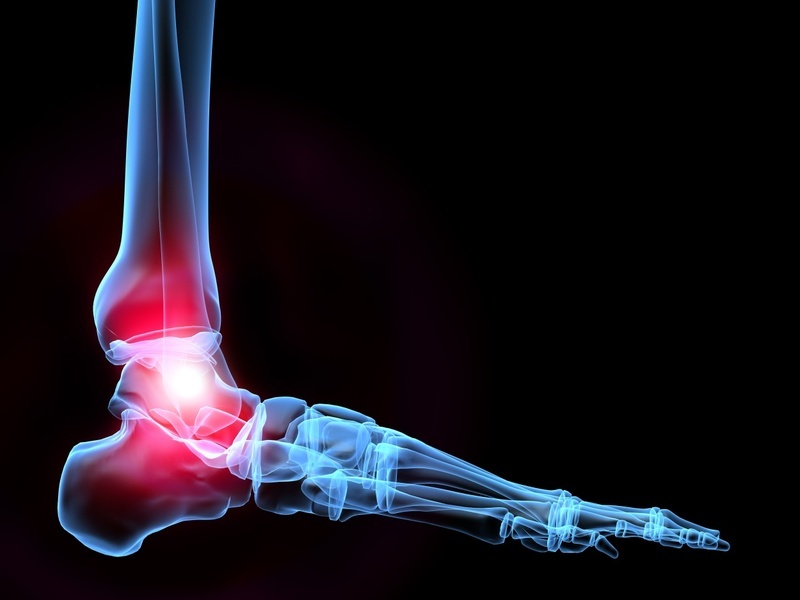 There can be many causes of ankle pain ranging from spinal subluxations, spinal degeneration, poor posture, weak imbalanced muscles, fallen arches, trauma and more. Dr. Boynton is an expert at evaluating the underlying cause of your ankle pain by use of gentle palpation, orthopedic testing, range of motion evaluation and on-site x-rays. Dr. Boynton can order a MRI or CT scan if he thinks further examination is necessary. Dr. Boynton is also a Certified Chiropractic Extremity Practitioner (CCEP). This additional certification indicates that he has extensive knowledge in treating and evaluating the ankle. Foot pain is a common condition treated at Sycamore Chiropractic and Nutrition. There can be many causes of foot pain ranging from spinal subluxations, spinal degeneration, weak imbalanced muscles, plantar fasciitis, fallen arches, trauma and more. Dr. Boynton is an expert at evaluating the underlying cause of your foot pain by use of gentle palpation, orthopedic testing, range of motion evaluation and on-site x-rays. Dr. Boynton can order a MRI or CT if he thinks further examination is necessary. Dr. Boynton is also a Certified Chiropractic Extremity Practitioner (CCEP). This additional certification indicates that he has extensive knowledge in treating and evaluating the foot.